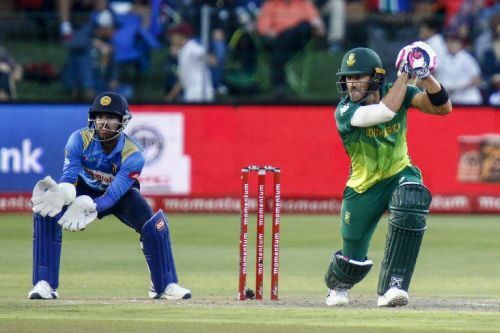 After sealing the ODI series in the first four matches, South Africa are set to host Sri Lanka for the fifth and final ODI at the Newlands Cricket Ground. The last ODI will be played tomorrow at Cape Town before the three-match T20I series begins from 16th March. South Africa will be looking for a series whitewash, while the visitors need to play out of their skin for a consolation win. Both the teams will try to get their combination right in the last ODI ahead of the ICC World Cup 2019. South Africa have lately established themselves as one of the dominant forces in limited-overs cricket. And this ODI series has once again proved their authority in the format. The Proteas have a great pool of experienced players and emerging talents, which gives an edge over their counterparts. They will be determined to get rid of their ‘chokers’ tag in the upcoming ICC World Cup. Meanwhile, Sri Lanka seem to have lost the plot in limited-overs cricket as they are still struggling to find their feet. After their historical Test series victory, the visitors were expected to give a tough fight to the Proteas in the ODIs too, but that has not been the case. With the ICC World Cup in sight, the Lankan Lions have a lot of boxes to tick if they want to avoid flopping on the biggest cricketing stage. Sri Lanka would be hoping to end this dismal series on a winning note and gain some momentum for the T20Is. South Africa are likely test their bench strength in this fixture. A few of the regulars might miss out, making way for the players who are in the running to be the backup options for the World Cup. Kusal Perera is ruled out of the series due to a hamstring injury.